Aside from never getting a single stain on your teeth, all teeth whitening procedures carry with them some inherent risk. Most have little risk associated with them other than possible sensitivity for a little while following the procedure. However, not all products are created equal. 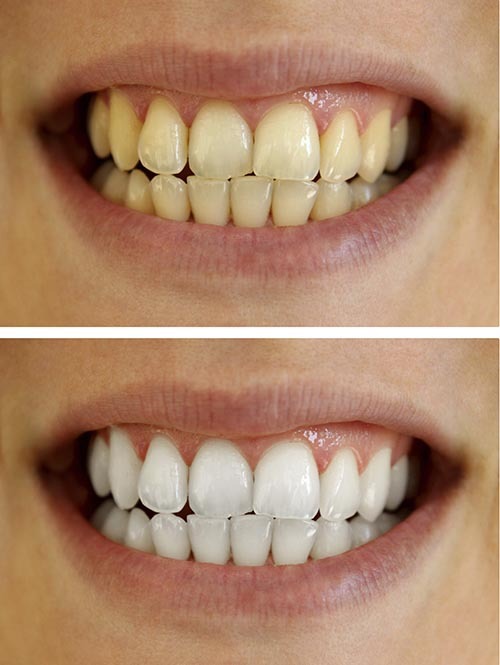 If you have been considering getting your teeth whitened, then the best option you have is to go in and see your dentist. He or she is going to know what is going to be safest for your mouth. As stated, tooth sensitivity is one of the most common symptoms most people face after getting their teeth whitened. This typically only lasts a few days, and goes away on its own. If it does not go away within the first week, contact your dentist as something else may be going on to cause the problem. Gum irritation can also occur following teeth whitening. If you use a kit that is too concentrated for what your mouth can handle, your gum tissues could be swollen, irritated, and even damaged following a tooth whitening experience. This is why it is so important to have your dentist suggest what is best for you, since he or she knows your mouth better than anyone else. Some products can also affect the integrity of crowns and fillings in your mouth. If you have a lot of either, or both, then you should opt to steer clear of any whitening products that are not given to you by your dentist directly. That way, you only use what is safest for your mouth, and not something that could leave you with more problems in your mouth. To find out what teeth whitening products are safest for you, call our office today. He or she can help you get the white smile you are hoping for!